Shopify vs WordPress: which is best? This is a question a lot of startups find themselves asking, and in this post, I’m going tackle it in depth! Read on for a full examination of both platforms and their key features; and the reasons why you might choose one of them over the other when building an e-commerce website. By the end of this comparison, you should have a much better idea of which platform will serve your business’ needs best. Let’s start with a quick overview of both platforms. Shopify is a web application that has been specifically designed to allow merchants build and launch their own online store. It provides a range of templates that can be customised to meet individual businesses’ branding requirements, and it allows both physical and digital goods to be sold. One of the fundamental ideas behind Shopify is that users without technical or design skills can create a store themselves, without resorting to coding. However, Shopify also allows you to edit the HTML and CSS of your website, which means that those who do have coding skills will be able to customize their stores more extensively. Shopify is a hosted solution, which means everything runs on Shopify’s servers. So, you don’t need to worry about buying web hosting or installing software anywhere; the idea is that pretty much everything you need to build and run your store happens ‘out of the box’ (that said, you can customise a Shopify store to meet more bespoke requirements through the addition of apps – more on which later). Shopify is a software as a service (‘SaaS’) tool – this means that you don’t own a copy of the software, but pay a monthly fee to use it instead. Being a web application, it runs in the cloud; this means that as long as you have access to a web browser and the internet, you can manage your store from anywhere. Hosted WordPress – available at wordpress.com – is, like Shopify, a software as a service (SaaS) tool. You pay a monthly fee and you get access to a broad range of features which enable you to build and maintain a website. It’s less of an ‘all in one’ solution than Shopify however, as users need to use third party tools like Ecwid (or indeed Shopify!) to add e-commerce features to it. Self-hosted WordPress is a piece of software that you download from wordpress.org and then install on your own web server. It’s open-source, meaning that the code behind it is freely available and may be easily tweaked. In practice, this means that sites built with WordPress can be customized to the nth degree – it’s an extremely flexible tool that, in the hands of the right developer, or via the installation of the right plugins, can be adapted to meet the requirements of nearly any website design project. You can install WordPress on your server for free, but there are hosting costs, domain registration charges and potential plugin/development costs to consider. We’ll discuss all this in more depth later on in this post. This Shopify vs WordPress comparison is going to focus on the version of the WordPress that most people use: the self-hosted version. What sort of users are Shopify and WordPress aimed at? It’s probably fair to say that Shopify’s main audience is users without web development skills. As mentioned above, the key idea behind Shopify is that anyone can use the platform to make their own online store – quickly, and without needing to code at all. 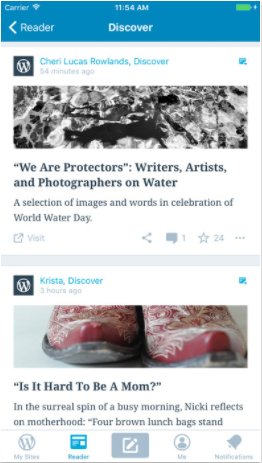 WordPress, by contrast, caters for two groups of users. Like Shopify, WordPress is suitable for users who are not tech-savvy; it is certainly possible to create and maintain a WordPress site without needing any coding skills (particularly if you’re happy to use a ‘visual editor’ interface for WordPress like Divi). Users who don’t want to go near any HTML or CSS can definitely avoid doing so with WordPress. The second audience that WordPress caters for is users who have loads of web development experience. These users can work with the platform to pretty much build any sort of website, and host it anywhere they like. Although it is possible to modify Shopify in a lot of ways (through coding or the addition of apps), there are more limits to what you can do, and you are always going to have to host it on Shopify’s servers. How many people use WordPress and Shopify? When choosing a website building solution, it’s important to get a sense of how many people use it to create their sites or online stores. This is because generally speaking, if a particular platform has a large user base, you will find that there are more support options, resources and apps/plugins available for it online. There will also be a smaller chance of it ‘disappearing’ and taking your website with it! The latter issue is particularly important for users who are considering using a fully hosted solution like Shopify – such companies can and do encounter financial difficulties, and can close product lines as a result (the disappearance of Magento Go is a well-known example of this). A large userbase minimizes the risk of this. The good news is that WordPress and Shopify both enjoy a lot of popularity and have large userbases. Depending on who you believe on the internet, there are 65-75 million WordPress sites in existence; and according to Shopify, the platform powers 600,000 stores. Given these numbers, WordPress is technically the safer bet in the longevity stakes, but Shopify is one of the most popular products of its kind and it is unlikely that either platform is going anywhere anytime soon. Pricing: how much does it cost to use Shopify and WordPress? Plus: negotiable, but typically around $2000 per month. The ‘Lite’ plan allows you to embed a Shopify ‘buy button’ on an existing site, or sell via Facebook, but you don’t get a standalone, fully functional store on this plan. Phone support is only supported on the $29 and higher plans. Credit card fees and transaction fees decrease as the monthly plans become more expensive. The ‘Shopify Plus’ plan is an enterprise grade plan aimed at larger organisations, or those with more advanced requirements regarding APIs, server uptime and support. It’s much harder to say how much a Wordpress site costs to build – that’s because there are so many variables involved. And of course, depending on your ambitions or technical skills, you may also need to pay for a developer to assist you with the build. 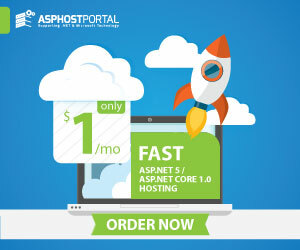 a dedicated WordPress hosting provider (for example ASPHostPortal) that specializes exclusively in WordPress hosting (which will be faster and more secure). For a small to medium-sized project, it’s probably fair to say that you’d be looking at costs of between $4 (shared hosting) a month. With regard to the other factors, you can technically get away with using a free template, e-commerce integration, and plugins – but realistically, to get higher quality results it’s usually worth investing in your site. In terms of how these sorts of costs compared to using Shopify, again we’re looking at a ‘how long is a piece of string scenario’. But let’s try to come up with some examples! At the lower end of the pricing scale, assuming you’re using the Shopify $29 ‘Basic plan’ plus one $10-per-month app, you’d be talking about a $468 annual commitment. At the higher end of things, if you were on the Shopify $299-per-month plan, and using three $10 per month apps, you could end up spending $3948 per year on your site. If your needs are simple then, using Shopify can actually work out cheaper than using WordPress, despite it being a paid-for option and WordPress being an open source one. But equally, it can work out a lot dearer! The only way to work out which is more economical for you, in the long run, is to make a clear list of all your requirements and price them up for each platform as best as you can. Pricing, however, should not be the only thing you think about in your WordPress vs Shopify decision-making process. It’s just as important to look at functionality and features. A key concern of anyone building an online store is: how pretty will my site look? Well, Shopify offers a classy set of templates – there are 10 free ones, and 55 paid-for ones available on the Shopify site (most of which come in 2 or 3 variants, making the numbers of templates available larger than the above figures suggest). All these templates are professionally designed, easily edited and responsive (meaning they’ll display nicely on any type of device – mobile, tablet, desktop etc.). With these templates, you can be pretty confident of solid support (either from Shopify in the case of the free templates, or a Shopify-approved supplier in the case of the paid-for ones). If that range of templates isn’t enough, you can buy other ones from third party designers – for example on Theme Forest. However, the number of Shopify templates available pales in comparison to the huge number of templates available for WordPress – although it’s hard to put a precise figure on the number of WordPress themes in existence, we can confidently talk about thousands, both free and paid-for. (You can buy WordPress templates from stores such as Template Monster or Theme Fuse). Because the Shopify product is designed very much with non-technical users in mind, it’s probably fair to say that the Shopify templates are a little bit easier to customize, but tweaking a (well-constructed) WordPress template shouldn’t involve that much of a learning curve either. For me, WordPress is ultimately the winner in a template shoot-out: the sheer quantity of themes available ensures most users will have plenty of high-quality options to choose from. This choice does bring a downside, however: first, it will be harder to choose a template; and second, you need to ensure that you are getting a ‘safe’ one. Getting a ‘safe’ template means sourcing it from a reputable source – some WordPress templates contain malicious code which can compromise the security of your site. This is not something you really need to worry about at all with Shopify templates, so long as you buy your template from the Shopify site. (If buying elsewhere, the health warning about malicious code applies here too of course). All officially-supported Shopify templates are responsive, meaning that they will all adjust themselves automatically so that they display nicely on any device. In this day and age, it isn’t at all hard to locate a responsive WordPress template, but you will need to double check its suitability across devices before installing it: there are still a lot of templates kicking around which aren’t suitable for all devices. You can also use Accelerated Mobile Pages (AMP) on both Shopify and WordPress. AMP is a Google-backed project which drastically speeds up the loading of your pages on mobile devices by stripping out certain bits of code; using it gives your content a speed bump and can improve its visibility in search results. To get AMP functionality working on both platforms though you’ll need to install a third-party app (Shopify) or plugin (WordPress). With Shopify, this means installing something like RocketAmp; various options exist for WordPress. One nice aspect of the RocketAmp app for Shopify is that you can be confident that it will display all your content in AMP format when necessary – i.e., not just static pages and blog posts but product pages too. With WordPress, whether or not you can get product pages to display in AMP format will depend on the both the e-commerce and AMP plugins used. The basic layouts of the Shopify and WordPress interfaces are similar enough, in that the left-hand side of the screen is used to host a menu from which you can select pieces of content to edit or settings to tweak. Shopify’s is arguably slightly more contemporary and ‘clean’ in appearance. Both platforms also take a similar approach when it comes to editing and publishing content – you locate your content and edit it in the back end; you can then preview or publish it. This differs from the approach taken by some other platforms – notably Squarespace – which display a more instant or real-time view of your edits (this is because such platforms allow you to work ‘on page’, with your changes being displayed in situ and in real time). However, you can use visual editor plugins in WordPress to help you create a design and content management environment which operates in a similar fashion; this may appeal to people who are relatively new to web design (and is not something you can yet do with Shopify). The thing to watch out for here though is ‘bloat’ — some of the visual editors for WordPress can slow down your website by adding unnecessary or badly-written code to proceedings (this in turn can have a negative impact on SEO and usability). 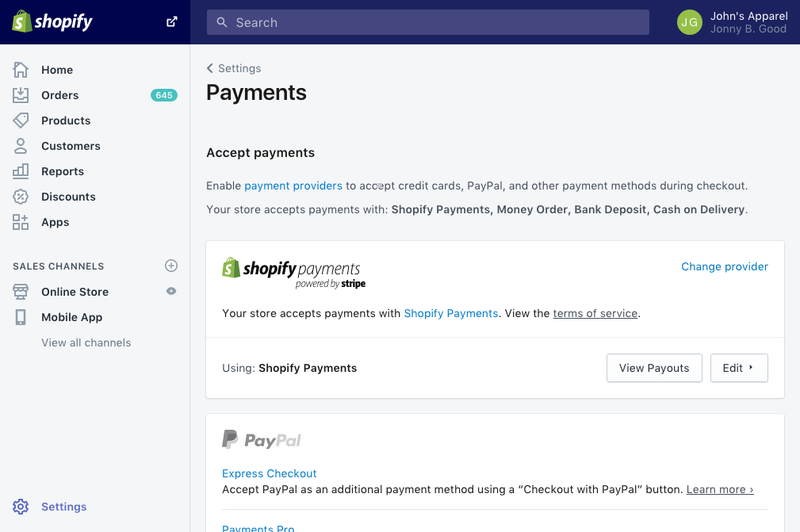 Shopify’s interface is very intuitive for anyone interested in building and managing an online store – and this shouldn’t come as a surprise: the platform has been designed with that purpose in mind. You can manage products, collections and sales channels really easily. It’s hard to make a direct comparison with WordPress in this front, because in order to sell products, you will need to make use of a third party plugin such as Woocommerce, Ecwid or WP E-Commerce. We’ll discuss these in more depth later on in the review. When it comes to management of static pages and posts, I’d argue that WordPress beats Shopify fairly comprehensively. There are two main reasons for this. First, and very importantly, WordPress comes with content versioning – every single version of a page or post can be stored on the system and you can roll back to any of them at any point. Shopify doesn’t let you do this. Second, WordPress allows you to use categories and tags in a much more flexible way than Shopify (you can also create your own custom content types in WordPress). This allows you to present your site content in more relevant ways to users, who can also filter it more easily to meet their needs. When it comes to content management of the e-commerce side of things, again it’s hard to make a direct comparison between Shopify and WordPress. This is because e-commerce is not available ‘out of the box’ with WordPress, so how the two platforms stack up against each other in this regard will depend on the e-commerce app you choose to power WordPress (more on this decision anon). What it is possible to say is that managing products and collections is very straightforward in Shopify. Because it’s a dedicated e-commerce application, a lot of thought has been put into this, and it shows. And worth a particular mention are Shopify’s ‘automated collections’ – these allow you to use rules (based on things like product title, price, tag etc.) to create collections. This can save HOURS of time (or days if we’re talking about a large store). Of the two products under discussion, WordPress is definitely the more flexible of the two. It’s been around longer and is much more widely used as a platform than Shopify, meaning that the number of templates, plugins and integrations for the platform dwarf what’s available for Shopify. Additionally, the open source nature of the platform and the fact that you have total control over your own hosting means that WordPress can be manipulated to create bespoke websites more easily than Shopify. That said, Shopify’s app store contains an impressive number of apps (2000+) which allow you to significantly extend the functionality of a site built on the platform. You also get access to your store’s CSS and HTML on all $29+ plans. For most users, this will be more than enough flexibility; and for more advanced or corporate level users, it’s likely that the enterprise-grade Shopify Plus plans will meet their requirements. Most users of this review will be looking specifically at how WordPress and Shopify compare in the e-commerce functionality department. And frustratingly, it’s difficult to come up with definitive advice on this. This is because – and as discussed earlier – WordPress doesn’t have an e-commerce tool built-in. You have to use a third-party option. You could argue that this gives Shopify an immediate advantage when it comes to e-commerce, because it’s a dedicated online store builder, and accordingly much everything you need to get your store up and running is provided out of the box. sometimes you have to buy a third party app to get the functionality in Shopify you need. Whilst Shopify is definitely the better ‘all-in-one’ e-commerce option, the e-commerce options are ultimately more extensive with WordPress, because you have significantly greater choice regarding the exact technical solution used for online selling. Is the pricing of this solution competitive? What payment gateways can I use with it? How many product variants and options can I use? What are the SEO features like? Does it facilitate point-of-sale transactions? Does it facilitate AMP on product pages? Is there a mobile app available for it? For the record, Shopify scores highly on all these fronts – with the exception of product variants and options (which are a bit limited, although you can use an app from Shopify’s app store to increase flexibility on this front). And of course, there’s always the option of using Shopify as your e-commerce solution for WordPress – its $9 per month ‘Lite’ plan allows you to embed products and a simple shopping cart system on an existing WordPress site. Search Engine Optimisation (SEO) is vital to the performance of any website. Without good visibility in search results, you can’t really expect much in the way of traffic or sales. Yes, you can use Adwords to drive traffic to your site, but a decent placement in organic search results is in most cases vital to the long-term success of an online business. If we’re dealing with general content (static pages and posts), I’d argue that WordPress is definitely the winner in the SEO department in a WordPress vs Shopify shootout. For a start, WordPress allows you to install Yoast, one of the best SEO tools available. This tool analyses your content in some depth from an SEO perspective and outputs a list of key steps you can take to improve the quality of your pages and posts. The Yoast plugin for WordPress gives you a complete overview of all the things you should do to improve the SEO of a piece of content. On top of that, it allows you to create SEO friendly sitemaps and set canonical URLs to avoid duplicate content (something Google very much approves of). WordPress is also slightly better at creating clean URLs (simple URL structures that Google likes). And because a WordPress site can be hosted on any server, you can choose a super-fast one; you aren’t restricted to the shared hosting on Shopify (which, whilst perfectly acceptable from a speed point of view, is not necessarily the fastest available). ‘Page speed’ is important because it’s a ranking signal, with faster-loading sites given preference in search results. You should ensure that whichever plugin you use to handle e-commerce on your WordPress site is robust with regard to all of these. Turning to Shopify, the SEO is generally strong. Using SSL is straightforward; editing alt tags and meta descriptions is a simple process; XML sitemaps are created for you; 301 redirects are automatically created/suggested every time you change a page name…all really good stuff. Although you can’t use Yoast on Shopify sites, there are quite a lot of SEO plugins available which perform a similar function. It’s not ideal, but it’s not a showstopper either, and Shopify stores are perfectly capable of ranking well despite this. Blogging is an oft-overlooked, but vitally important aspect of running an online store. This is because blogging is absolutely vital to inbound marketing – a sales strategy where you use quality content (blog posts) to drive traffic to your site, and by extension purchases. Both WordPress and Shopify provide blogging functionality, with WordPress’ being significantly better. permits the creation of posts with clean URLs (as discussed above, Shopify prefixes blog posts with ‘/posts/’ which isn’t as clean as we might like and thus not 100% ideal from an SEO point of view). WordPress’ edge in this area isn’t surprising really, as the platform has a long history as a professional blogging solution. Other than keeping content and products up to date, Shopify users don’t have to worry too much about site maintenance. All the technical aspects of running a website (software updates, hosting, server configuration etc.) are taken care of by the company. your plugins and themes are all up to date. Although some of this can be handled automatically, it’s still something you need to keep an eye on – if you end up with an out of date version of the WordPress software or a plugin, your site is much more vulnerable to being hacked into. With hosted solutions like Shopify, the bulk of the responsibility for security lies with the company who provide them. In other words, if you’re a Shopify user, it’s basically Shopify’s responsibility to ensure that their system doesn’t get compromised, your site doesn’t get hacked and backups of your data are made. You obviously have a responsibility to create strong passwords and not share them with others, but the technical side of security is essentially Shopify’s problem. With WordPress, if you’re not paying a developer or agency to maintain your site, then the ultimate responsibility for security belongs to the end user: you! This means it’s your responsibility to ensure that your version of WordPress is up to date, along with any plugins or themes you are using. Failure to keep on top of this aspect of site maintenance can make a WordPress site extremely vulnerable to being hacked (which can have very serious implications if you are operating in the e-commerce sphere). You’ve also got to be aware that some WordPress themes and plugins can contain malicious code which can compromise the security of your site, so you need to be very careful about which ones you install. And finally, you’ve got to ensure that you’re regularly backing up your site (various plugins are available to help automate this process for you). In short, I think it’s fair to say that Shopify sites are ultimately less vulnerable than WordPress ones, simply because there’s less scope for users to neglect security on their site or add dodgy code to it. And if something does go wrong, then Shopify’s team have a responsibility to help resolve the problem. Finally, a quick note about SSL: a free SSL certificate is provided with all Shopify sites – meaning that your visitors are browsing your site on a secure connection. You can, of course, install SSL certificates on WordPress sites too – but again, it’s your responsibility to sort that out. If you use WordPress, what you put on your site is, generally speaking, entirely up to you. If you use Shopify, you’ll need to be aware that Shopify can remove content (or even your whole site) if it conflicts with their acceptable use policies. Admittedly, a company that you’ve paid to host your WordPress site could also take your site down if it didn’t like what you were publishing – but in that scenario, you would have more options: you could move to a more liberal hosting provider, for example. On a related note, it’s easier to get content out of WordPress than it is with Shopify. There are a lot of tools available to WordPress users to help them export and back up every single piece of content. In Shopify, although you can export your product data easily enough, you can’t migrate static pages and blog posts to another platform using an export tool – you have to manually copy and paste these somewhere…which feels rather antiquated. WordPress ultimately gives users more control over their content than Shopify, and depending on the nature and size of your site, this issue should not be overlooked. I’m not a legal professional, so please note that the below comments on the topic of GDPR do not constitute legal advice — they just reflect my take on the situation regarding GDPR for website owners. As a result of the GDPR laws introduced in May 2018, building a website now involves meeting a lot of new legal requirements regarding data protection and privacy for EU visitors to it. Provide a means to opt in or revoke consent to use of non-essential cookies on a website (with that consent being logged). Shopify lets you the meet the first three requirements easily enough. Because it is a hosted, paid-for solution, the secure data processing and capture aspect seems to be Shopify’s responsibility (although as a business owner, you still have an obligation to ensure that any data captured via Shopify is done so legally). Adding privacy and cookie policies to a Shopify site is straightforward enough, but bear in mind that you will need to invest some time and money writing GDPR-kosher notices. Similarly, you’ll have to spend a bit of time ensuring that you build data capture forms that are GDPR compliant. For the fourth requirement, Shopify isn’t so great. It doesn’t come with a GDPR compliant cookie notice generator, so you will invariably need to invest in a suitable app from Shopify’s app store or use a third-party tool like Cookie Pro to create a cookie banner. Depending on the size of your site, this can add to your monthly bill quite a bit. With WordPress, although there are lots of plugins for capturing and storing data in a GDPR compliant way available, it’s entirely your job to choose the right ones and make sure your WordPress site is not doing anything naughty. Ultimately, although Shopify is at pains to say that GDPR compliance is fundamentally the customer’s responsibility, it’s probably fair to say that Shopify takes on some responsibility for ensuring GDPR compliance, at least in the data capture and processing area. With WordPress, you are a bit more on your own — but that said, there are lots of resources available online to help you build a WordPress site that is compliant. Many businesses require multiple versions of their website – in different languages, or for different territories (or both). WordPress is currently a better solution than Shopify for this sort of thing – you can use either the Wordpress Multilingual plugin or the Wordpress Multisite version of WordPress to create multiple versions of a website in multiple languages. And some of the e-commerce plugins for WordPress (notably Ecwid and Woocommerce) can be configured to support multiple languages too. Shopify have recently launched multilingual functionality however, which may help users with a need to present their store in several languages. This is currently available as a beta version that in addition to English facilitates French, German, Japanese, Italian, Brazilian Portuguese and Spanish. If you’re somebody who likes to edit your website on the move, then you will pleased to learn that this is possible with both Shopify and WordPress (and on both iOS and Android). The Shopify app is more focussed on e-commerce than the WordPress one, allowing you to manage your products and follow up with customers; by contrast the WordPress app is more focussed on content management, allowing you to create and edit pages and posts. Whether or not you can manage the e-commerce side of things on your phone for your WordPress-based store will depend on whether the e-commerce plugin you’ve used to build it provides an app for this purpose (for the record though Ecwid and Woocommerce both do). Support is an area where I think it’s fair to say that Shopify beats WordPress, particularly if you are building your site yourself. When you buy a Shopify plan, you get support included with it. Live chat, email and phone support are included on all plans with the exception of the ‘Lite’ one (which limits support to live chat and email). This means if something goes badly wrong with your store, there is somebody you can turn to. (This is a particularly important thing to bear in mind if you’re building a site for somebody else. When you hand a Shopify site over to a client, so long as you’ve set things up correctly, you shouldn’t have to worry about providing ongoing support to your client – that’s Shopify’s job). 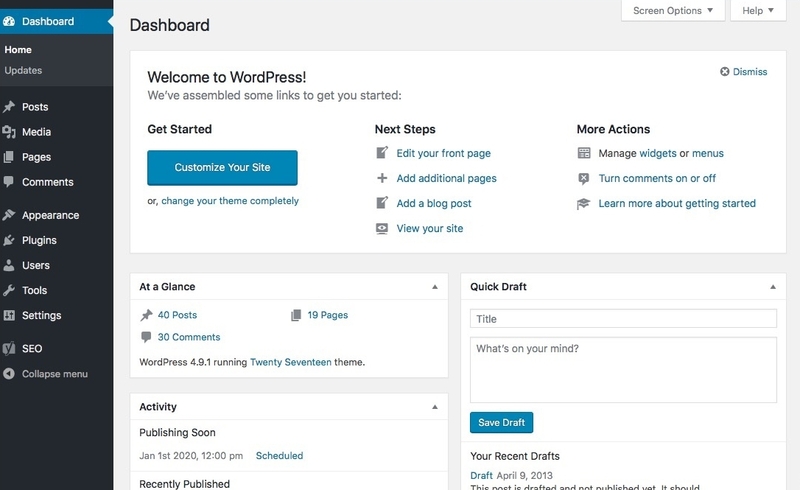 It’s a different story with WordPress: if you’re building your website yourself with the platform and run into difficulties, it’s not obvious where to turn to. You may find yourself sourcing help from a variety of locations: for example, the Wordpress forums, a hosting company, a plugin provider, a friend who knows a thing or two about WordPress etc. In my view, to end up with adequate support for a WordPress site, you ideally need to work with a developer or agency specialising in WordPress development and take out a support contract with them. This can be pricey, but on the plus side, it can give you a level of support that you are unlikely to ever receive from Shopify (face-to-face meetings, Skype calls, a more personal connection etc.). WordPress is unquestionably a better-established and more flexible platform than Shopify. It’s got a significantly bigger userbase and a much greater selection of themes and apps to choose from; and given the right skills and resources, you can basically build any sort of website you like with WordPress. If content production and management is a key concern for you – for example, if you wanted to run a sophisticated magazine site with a store on the side – then there is a lot to be said for going the WordPress route. Its blogging functionality, content archiving and content management system are all significantly more flexible and sophisticated than Shopify’s offerings in these areas. In quite a few ways, it’s probably fair to say that WordPress has an edge in the SEO department too: the fact that you can use Yoast, choose your own server and create cleaner URLs for your content gives it a bit of an edge over Shopify. But in many contexts, Shopify will simply meet the needs of e-commerce users better. That’s because it’s a tool that has been designed specifically to make building an online store straightforward, and it does an admirably good job of this. Additionally, if you use Shopify, you’ll get support; relative peace of mind around security; and you won’t have to worry about the technical aspects of maintaining your website. Finally, if you are new to the world of website building and determined to build your own online store, then I’d argue that Shopify is the easier, safer and quicker bet. There is a steeper learning curve involved with WordPress, and more configuration to do (especially on an e-commerce site). If you have a good budget and a good developer though, you’ll probably find that you get something better with WordPress; a site more ‘bespoke’ in nature that is more precisely tuned to your needs. Ultimately though, if you are going the DIY route, my hunch is that you’d probably get better results with Shopify. Shopify is easier to set up and use than WordPress – you shouldn’t face much of a learning curve. A lot of features which you have to source separately in WordPress are available ‘out of the box’ if you’re using Shopify – notably themes, e-commerce features and payment gateway integration. 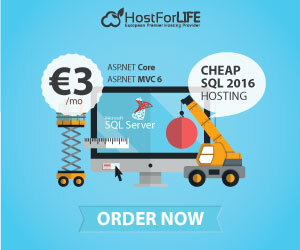 Hosting is included with the product (with WordPress, you have to sort this out separately). With Shopify you don’t have to worry about the technical aspects of maintaining your site; if you use WordPress, you need to keep on top of this or your site will become vulnerable to being hacked. Shopify is largely responsible for the security of your website – if you use WordPress, security depends on how diligent you are in updating your software and theme. 24/7 support is available for Shopify (email, phone and live chat). By contrast, whether or not you can avail of support for a WordPress site depends largely on whether you have commissioned somebody to provide it. Shopify is arguably a better option than WordPress for users who require an elegant but simple website delivered quickly. GDPR compliance is arguably a bit easier with Shopify, as the company take on some responsibility for it. You can easily try out the product for 14 days for free – with WordPress, you’ll need to arrange hosting and download/install software if you want to try it out. The software is open source and can be downloaded for free. You can build any type of site with WordPress; it’s a more flexible platform than Shopify. A much wider range of templates is available in WordPress than in Shopify. WordPress comes with a more sophisticated content management system which, unlike Shopify, facilitates content versioning. A vast range of plugins – paid-for and free – is available to help you add functionality to your WordPress website. Although you can also add functionality to Shopify sites via apps, there is a more limited range to choose from. 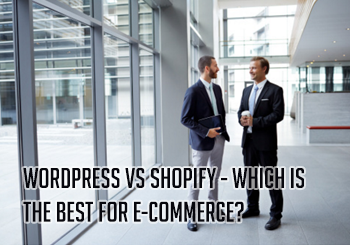 You have a greater range of options when it comes to e-commerce in WordPress than in Shopify. The number of variants and product options you can use (without an app) in Shopify is a bit limited – many of the WordPress options give you more flexibility on that front. SEO in WordPress is a bit better than in Shopify. On a WordPress site, you have more control over your content – with Shopify, you’ll have to adhere to an ‘acceptable use’ policy and you may have trouble exporting some of your site content (especially where pages and posts are concerned). You can export pages and posts more easily in WordPress. WordPress is a much better option than Shopify for creating multilingual or ‘multisite’ projects. The product has a longer history and bigger userbase than Shopify. Shopify and WordPress are by no means the only options at your disposal when it comes to building a website or online store: there are a large number of alternative solutions available. On the self-hosted front, the best-known alternatives are probably Joomla and Drupal: very flexible platforms that host millions of sites worldwide. With regard to hosted solutions, you might want to check out Wix, Jimdo, Squarespace or Weebly (or indeed the hosted version of WordPress). These are probably more geared towards ‘general use’ websites rather than e-commerce sites; a more dedicated self-hosted e-commerce solution worth investigating if you’re not happy with Shopify is Bigcommerce.